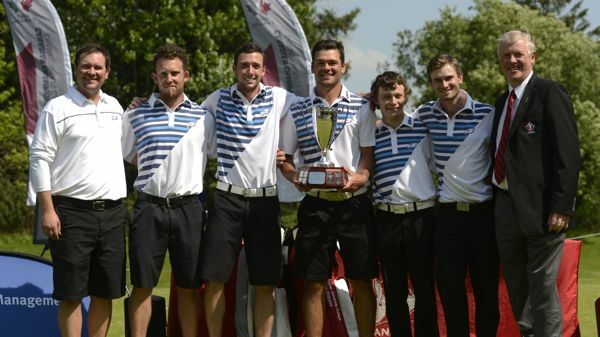 he Université de Montréal Carabins and the University of British Columbia Thunderbirds captured their respective titles at the Canadian University/College Championship at Club de golf Val des Lacs in Ste-Sophie, Que., on Friday. The Thunderbirds fired an impressive 1-under 283 in the final round to soar ahead of Université Laval Rouge et Or for the overall team title. The squad of Conner Kozak of Vernon, B.C., Kieran Standen of Edmonton, Alta., Jerry Christiansen of Air Ronge, Sask., Andrew Ledger of Toronto and Scott Secord of Calgary carded their best round of the tournament to finish at 12-over 1148, 21 strokes ahead of the defending champions Université de Laval Rouge et Or. “It feels wonderful we haven’t had this win for a long time, I think 2009 was the last time we won,” said Head Coach Chris MacDonald “We’ve been in contention a lot of times and this week came as a bit of a surprise so we’re very excited. Laval posted a final round 7-over 291 but couldn’t catch the Thunderbirds after they turned through the final nine at 3-under par. The Université de Montréal Carabins overtook the Humber College Hawks to finish in solo third at 39-over 1175 after an impressive 4-over final round. The Hawks finished in fourth place at 47-over, while the University of Manitoba Bisons closed the tournament in fifth at 53-over. 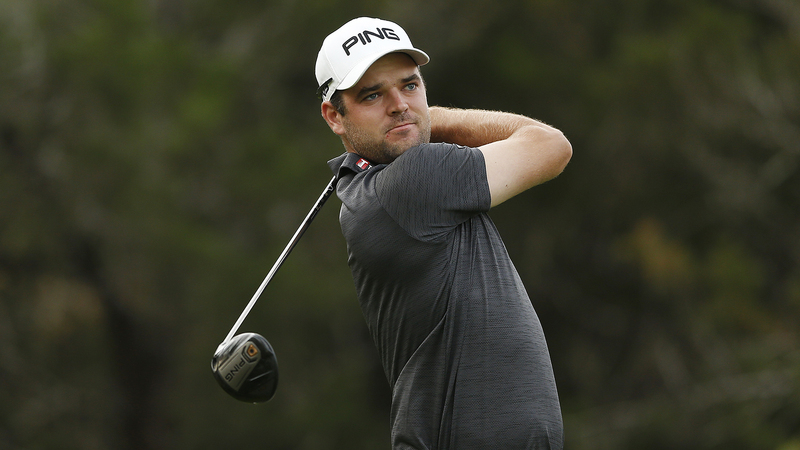 Team Canada’s Hemmerich grabbed the lead at the turn on Friday but couldn’t hold off Coussaud who birdied three of his final six holes. Hemmerich finished at 3-under 281 (71-68-70-72), two strokes ahead of UBC’s Andrew Ledger who fired a 4-under 67 on Friday. Carabins’ Mattieu Perron finished in solo fourth at even par, while Holland College Hurricanes’ Eric Locke carded a 4-over 75 to finish in fifth. On the women’s side, the Carabins captured their first overall title after a 17-over 230 final round. The contingent of Sabrina Sapone of Montréal, Caroline Ciot of Brossard, Que., Laurence Mignault of Varennes, Que., and Sarah-Andrea Landry of Brossard, Que., finished at 51-over par 903 for the tournament. “It feels great we worked hard all week, we played consistent and we stayed patient so it paid off really well in the end,” said Carabins’ team member and individual champion Sabrina Sapone. The Carabins finished eight strokes ahead of the University of Victoria Vikes, who posted a 21-over 234 on Friday to finish in solo second. As the defending champions, the UBC Thunderbirds fired a 12-over 225 final round to finish in solo third at 67-over 919. Rounding out the top five were the University of Toronto Varsity Blues in fourth at 93-over, while the University of Waterloo Warriors finished in fifth. Individually, Sapone closed out the championship with a 3-over 74 to capture the individual title. Her 9-over 293 total (74-74-71-74), left her six strokes clear of Vikes’ Megan Woodland of Victoria who stumbled in the final round after posting a 6-over 77. Vikes’ Brynn Tomie of Bedford, N.S., finished in third at 18-over 302 after a final round 79, while Thunderbirds’ Stephanie Wong carded the low round of the day with a even-par 71 to grab fourth. 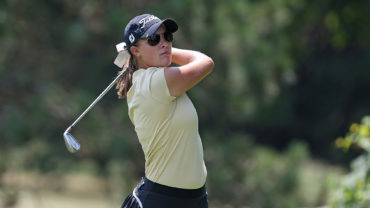 First round leader, Caroline Ciot, finished in fifth at 20-over par after a final round 81.